Friday - Monday: 10 p.m. to 4 a.m. There is little debate behind the fact that most women enjoy extravagant things. From flawless diamonds to strands of gold, there are few Vegas gals that would turn down the opportunity to even be in the presence of something bold and sparkling. The people at Encore must be well aware of this fact, because the property's top nightclub, XS, is brimming with opulence and excellence. When the situation arises, XS is the perfect stop for a girl's night out or, if you're tying the not, a bachelorette party. When you step through the main entrance of XS, your eyes are treated to what can only be described as a sea of gold. This isn't your typical gold-painted décor that third rate venues offer, either. From gold plated statues of former employees all the way down to the minutest of details, XS works hard to earn its name – and its place in a Steve Wynn property. Due to the nature of the casino, standing out amongst the crowd is no easy feat. No matter how primped your group is, you'll be competing with dozens of other ladies for the attention of Las Vegas' elite – who will probably have their eye on one of the club's many celebrity guests. The best part about XS, though, is you won't need a man to have a good time. If you're celebrating an occasion like a bachelorette party at XS, the best thing you can do is arrange for a VIP booth and the club's bottle service with BacheloretteVegas.com. Like many other nightclubs, VIP booths offer advantageous locations for people watching as their seclusion only stretches so far as to give you your own private seating. 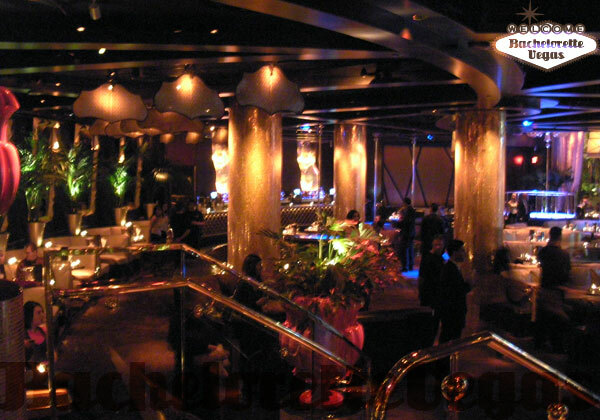 Unlike other clubs, though, the VIP booths at XS follow the same gold theme with gold-embossed crocodile skinned seating. Along with VIP seating, taking part in the club's bottle service will also grant you a round of drinks from the bar's premium selection of liquor. 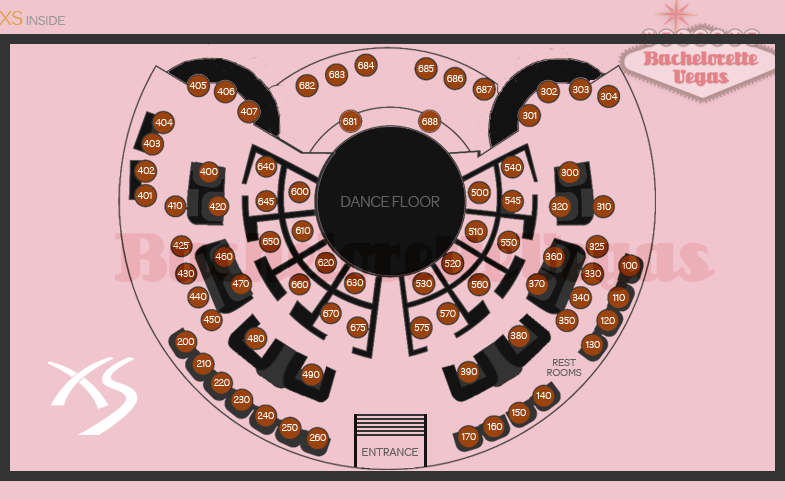 Being seated at a VIP booth will also increase your chances of picking up men, if that's what you're aiming for. If the inside of the club starts to get a little too heated for you, XS allows its guests to step outside to the pool space, which is typically open to hotel guests only. 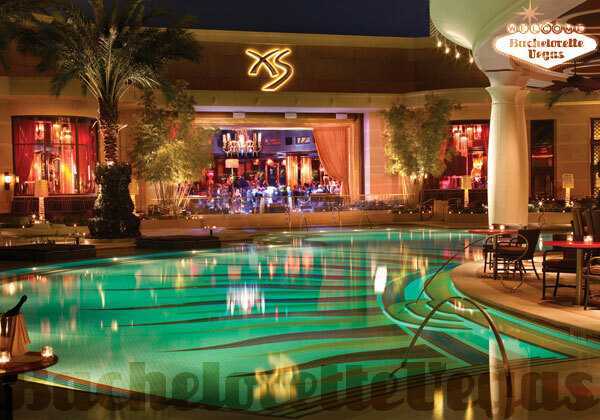 The XS pool is surrounded by 26 cabanas, where you may continue your bottle service experience from inside. 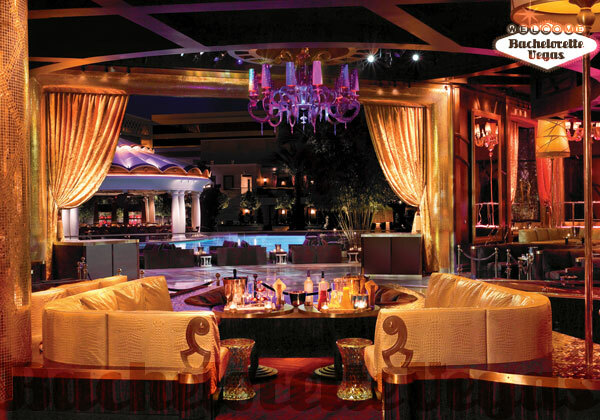 This 27,000 sq ft space is sure to extend the life of your party beyond the extent of some of Las Vegas ' other clubs. In the warm desert air, you and your girls will be able to enjoy the club's assorted mix of music and refreshing beverages. 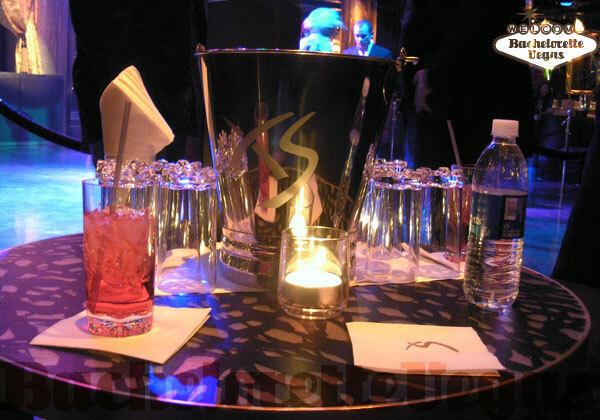 For any occasion, XS has both the space and the accommodations to create the perfect environment for a good time. Despite its opulent look, XS isn't just for the rich and famous. 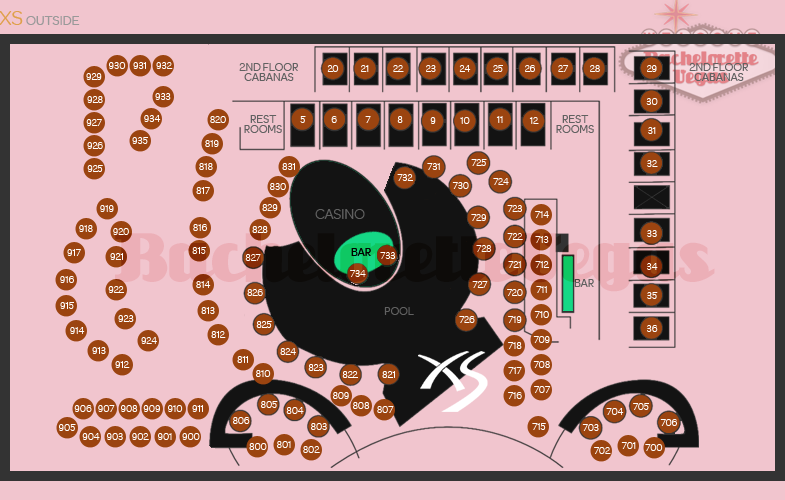 For reservation or VIP linepass to XS Las Vegas, please contact us..